Welcome to my first annual 'Pie Week'! I have a rather large backlog of Pies that I've had over the last few years, so rather than try to get a long extended post about each, I'll just get through them over the next week. Don't expect a long-winded review for each of these, I'll try to keep them short and to the point. 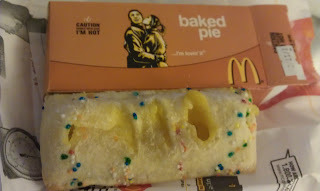 I was able to try the 'Holiday Pie' when I stopped in Las Vegas for a few days heading home last winter. 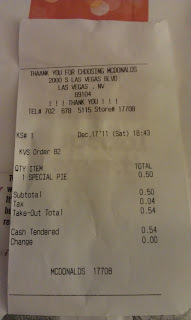 The pie was being promoted at all the McDonald's along the strip, but every one I visited were always out of stock. I was eventually able to find it at the McDonald's in the Stratosphere hotel. The pie was pretty simple, a baked pie with custard and sprinkles, with the goal to be as sweet and holiday-like (read: unhealthy) as possible. I can't say no to anything overly sweet, so I enjoyed it a lot. 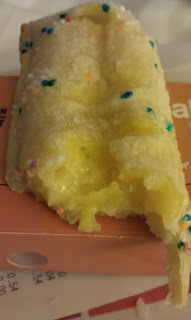 The custard was nice and creamy, and the sprinkles mixed in the batter were noticeable but not overpowering (I don't like it when sprinkles take away from the flavour of a cake, so I usually try to avoid them). 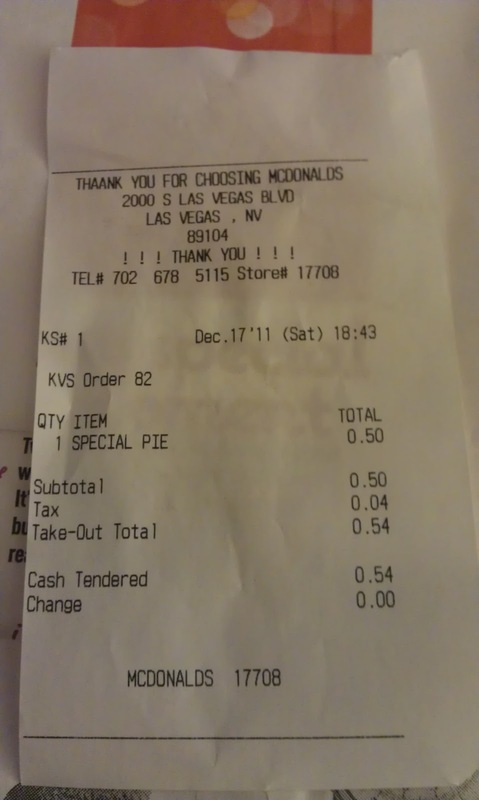 I was staying at the Stratosphere, so I took the pie to enjoy in my room. It made a nice evening snack, I kind of regretted not getting two, but I was so jet-lagged, I slept soon after eating it. 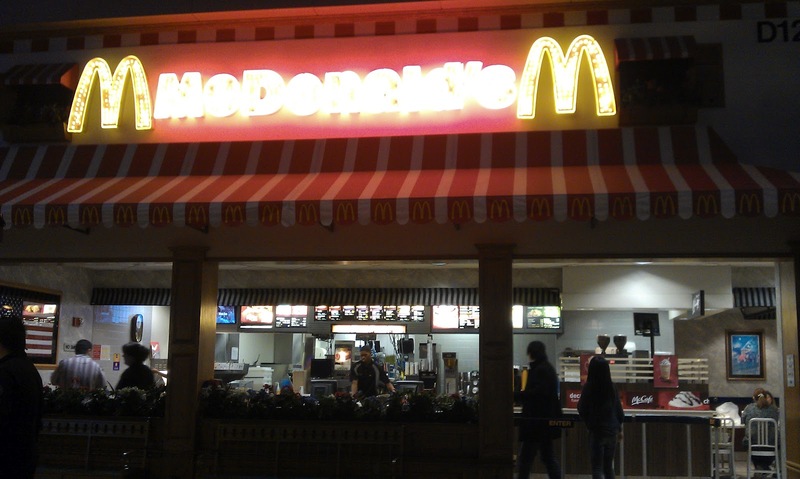 When I tried to get one the following evening, they were out of stock as well, so either McDonald's doesn't send out very many to each store, or they are unbelievably popular. 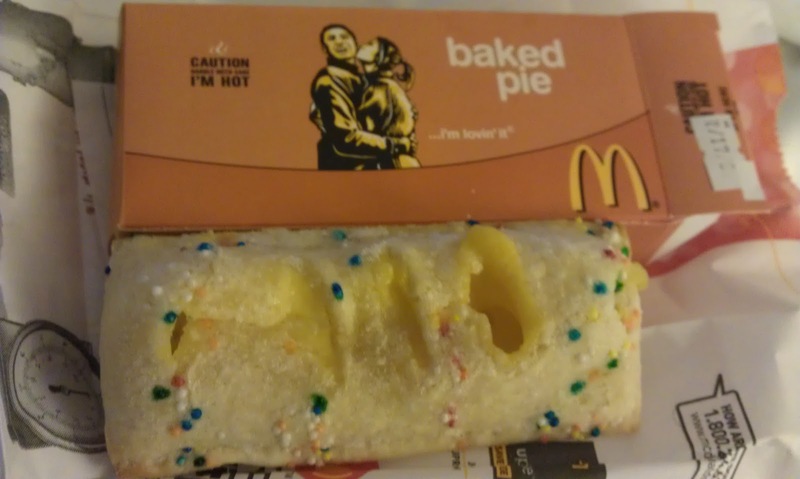 See you tomorrow evening with another Pie review, but until then, check out some older reviews.